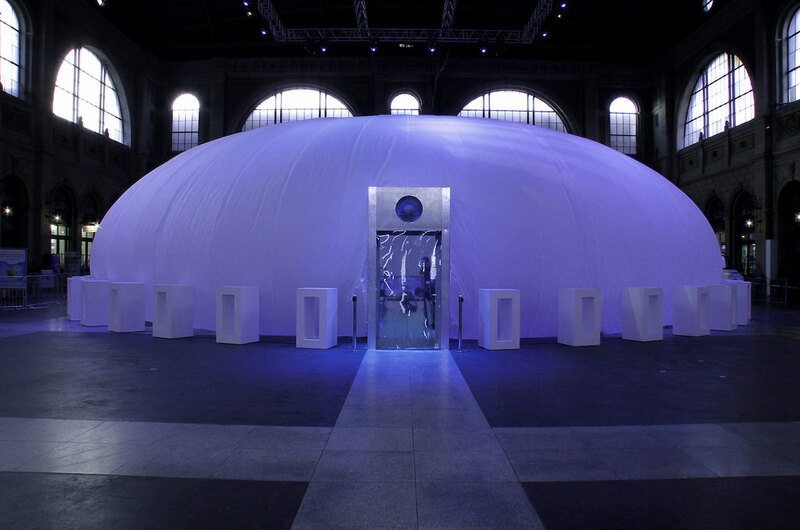 A huge walk-in bubble for 150 people in the middle of Zurich's main railway station. 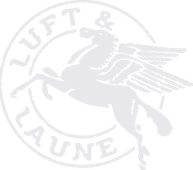 Switch, the operator of the university networks, had announced a webpage competition for school classes. 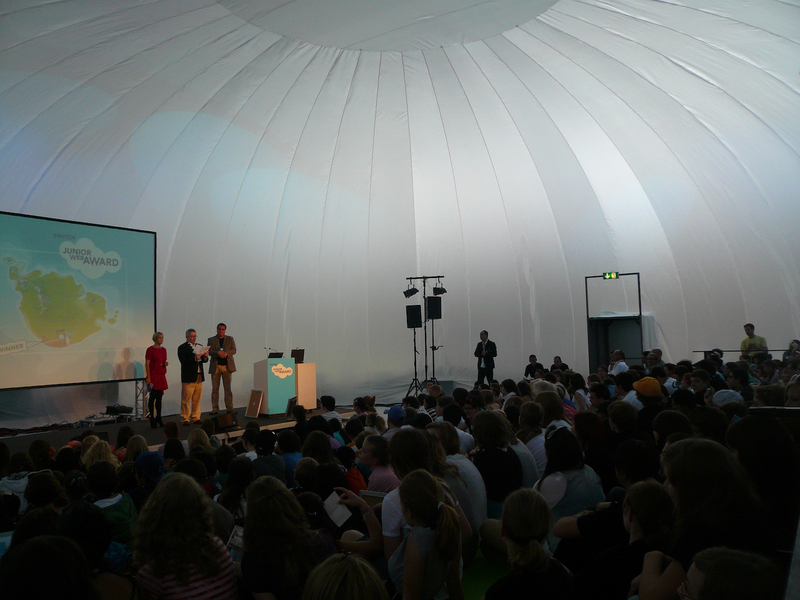 The annual award ceremony took place in its own inflatable "cloud", which became a real hit with both the students and the organizers. 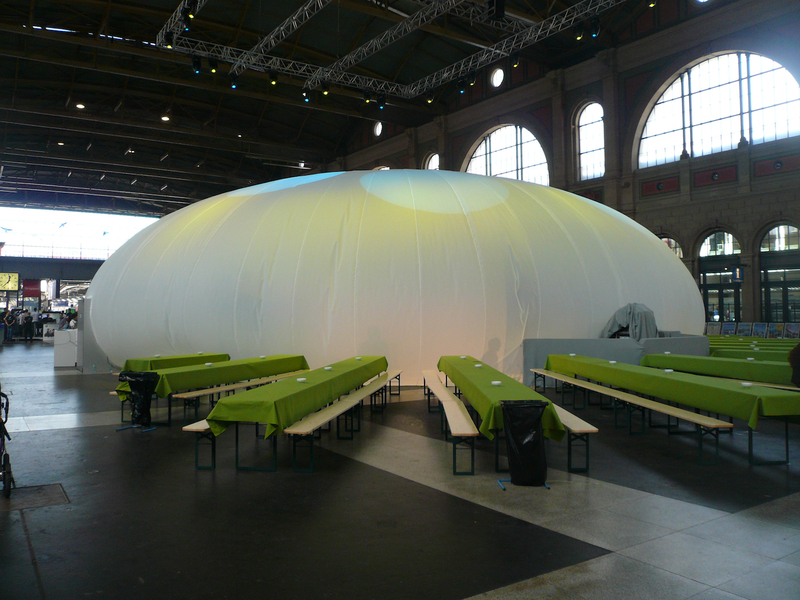 The translucent inflated shell could be illuminated from the outside as well as from the inside. 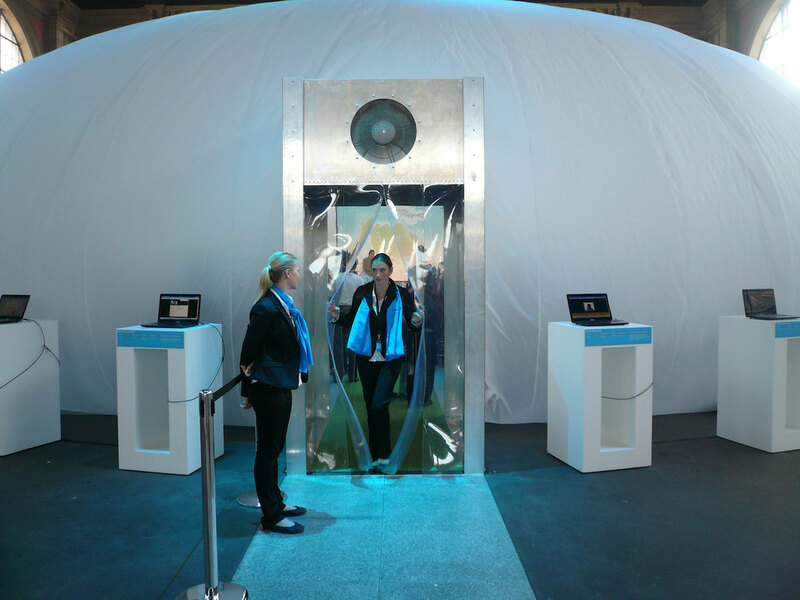 The Cloud Dome is 21m in diameter and holds up to 150 visitors. A real eye-catcher from the outside, an absolute spatial experience from the inside!